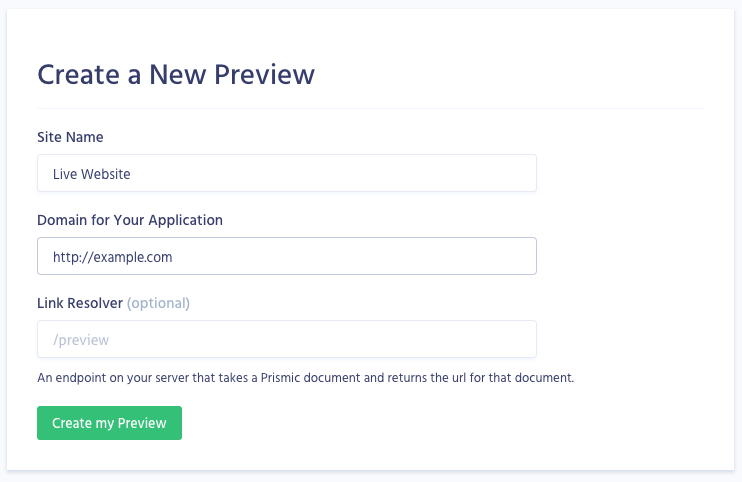 If you are using our official Prismic Java development kit (java-kit), then that is all you need to do to gain the basic functionality of the Preview feature! If you are not using this kit to make your queries, then refer to the "Use the correct ref" section below. Are you using the Java Spring MVC Starter? If you are using the official Prismic Java Spring MVC starter project, then you should already have all the code in place you need for In-website previews. That's as much as you need to do! If you're not using an official Prismic project, then follow the rest of the steps below. The example above uses a Link Resolver stored in the variable linkResolver to determine the end url to redirect to. To learn more about how to set this up, check out our Link Resolving page. The last step to setting up the previews is to make sure that the preview ref is used when you make your queries. Fortunately if you are using the official Prismic Java development kit (java-kit), then the preview ref is automatically used when you retrieve the Api object from the request. Once all of these pieces are in place, your previews should be up and running!